i have some more projects to share that i created with the new slice fabrique, by making memories. if you're wondering what i'm talking about, check out yesterday's post. here are some more additions to the "little girl's room" section of the booth. a fun headband. i've admired so many of the cute headbands, with fabric flowers on them. so here's my take on the style, complete with layered sliced flowers. i covered the headband with pink ribbon, and added the flowers off to the side. i handstitched all nine flowers, and then layered them in groups of three with buttons stitched in the centers. a little bumble bee hairclip. i think this bee is the cutest little thing. i made him puffy too. i cut the four parts of the butterfly with my slice fabrique, and then fused them onto a piece of white fabric. then i trimmed it down, and cut another piece of white fabric to the same shape. i handstitched the two pieces together, adding a little stuffing inside each section as i went along. it might be hard to tell what this one is. lol! i really wish one of the girls had been home when i made this, so that they could have modeled it for me. it's a ponytail holder. i was thinking about the ribbon ponytail holders that you see on the soccer field all the time, and thought it would be fun with the fabric. i tore TONS of strips of the fabric, and tied each one onto a regular black ponytail holder. then i cut some butterflies with the slice fabrique, and hand stitched around each one. i added a button to the center of each little butterfly, and stitched them randomly onto the ends of some of the fabric strips. and this one is pretty simple. just a quick and easy bracelet. i used this same green and pink ribbon throughout all my projects. guess where making memories is this weekend? they are at the international quilt market in houston, texas. they are there to introduce their brand new slice machine that is specifically designed for cutting fabric. the new slice fabrique, and the new slice fabrique design cards, were designed with the fabric appliqué quilters in mind. want to see this new machine? here's a photo, courtesy of making memories. the first thing i have to tell you, is that i don't sew. i don't stitch. i don't even iron. i actually do own a sewing machine, that i bought years ago, so that i could machine stitch on my layouts. never learned to use it. i LOVE the look of machine stitching. and i do LOVE fabric projects. i have done all of 2 fabric projects in the past, which were for the slice infomercial last year. but i didn't stitch on those. so when i got asked to work on this assignment with the slice fabrique, i was a little worried as to whether i could actually pull it off. but i'm always up for any challenge that comes my way, and of course, i said "yes". i was excited to learn something new and push myself to try new things. and that's exactly what i did. for hours and hours on end. lol! ok, enough rambling. on with some projects. i was assigned to create some projects for one of the "rooms" in the making memories booth for the show. and my room was a little girls room. i adhered each butterfly to the lampshade, using a glue dot in the center of the butterfly. then i used some glue dots on the outer edge of each wing (top and bottom), so that i could curl the wings slightly before adhering them down. this way, they're not totally flat on the lampshade. the new slice fabrique design cards have a fun cutting tool. most of the cards do have the mirroring and shadowing options (MS+). but the fabrique design cards allow you to cut shapes in different pieces. like this pinwheel on the frame. it has 6 pieces to the design. the 4 triangle pieces for the main part, the stem (which i left off of here), and the center of the pinwheel. and because you cut each piece individually, your shapes can end up larger than the typical 4 inch slice size. the largest choice on the pinwheel, will actually give you a 5.6 inch tall shape. isn't this pinwheel so fun! i cut all the main pieces twice. so i had 8 pieces total. then i ironed 2 pieces back to back, and hand stitched them around the edges. i folded the corners over, just like the design quide showed me, and stitched that down too. i added a few fun buttons to the center, and a pipe cleaner for the stem. there's more pipe cleaners on another project, that i'll share later. so they tied together. i also sliced out the letters to spell "FUN", and hand stitched those as well. i have to tell you, that i did fix his button eyes, after taking these photos. i have no idea why i stitched them right there, in the middle of his face. it wasn't until i was looking at some of wendy's project peeks that she shared with me, that i noticed HER frog's eyes were on the top of his head. i had to ask her about it, because i suddenly couldn't remember where a frog's eyes are. this is where the "asking each other for advice and opinions" comes in handy. lol! his button eyes are now nicely stitched where they belong. another example of the pieced together cuts. the frog is actually made from 6 different cuts on the slice fabrique. his head, his body, each leg cuts seperately, his hands cut together, and his eyes cut together (i didn't use those). so it makes it really easy to cut pieces from different fabrics, and then tie them all together. the kite is made from 4 different cuts. the 3 pieces for the kite, and then the tail piece (which i cut 3 times). these flowers are one of my very favorite parts out of all my projects. i LOVE these flowers! i used the largest size cut on these, so they are 4 inches wide and 5.8 inches tall. good sized flowers. each one was 4 cuts. the 3 parts of the flower, and the stem. we stitched down the outer flower, and the center of the flower. i left the middle flower as it was, so that the edges lift up and give some extra dimension to the bag. i hand stitched on the buttons to the centers of the flowers. 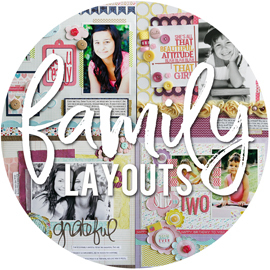 tonight, i have a layout share from the october issue of creating keepsakes magazine. as seen in the October 2010 issue of Creating Keepsakes magazine. copyright creative crafts group. posted with prior permission from the publisher. when i got this assignment, i was asked to add something fun to stickers on my layout. so when i went to start my layout, the first thing i did was look for some stickers that i could spruce up. i didn't want to go with letter stickers, because that seemed to easy of an idea. when i found these ice cream stickers from doodlebug, i knew they'd be perfect. and i knew just the photos that i could use. and yes, these are OLD photos. i'm trying to remember if this was before sarah was born, or after. it's from at least 11 years ago. back then, alyssa used to love mint chocolate chip ice cream. she even used a toy ice cream thing to eat it with. lol! she stopped eating ice cream years ago. no idea why. because the rest of us love it. sarah has it every night, at exactly 8:00pm. joe usually only has it on his night's off. hard to have it before bed, when you go to sleep at 9:00am. and i have mine late at night, when the girls are in bed and joe's at work. i digress with the ice cream talk. back to the layout. i thought all these ice cream and sprinkle stickers would be cute all lined up across the layout, making a fun border. and i added diamond glaze to them, which gives them the look of epoxy stickers. on some of the stickers, i covered the entire thing with diamond glaze. on others, i only put the diamond glaze on the actual ice cream scoop, and not the cone. i added about 3 layers of diamond glaze, to really get the look that i wanted. i know this shot makes the yellow sticker look a little cloudy. but they really did turn out nice, and i think the look so similiar to epoxy stickers. such a simple way to spiffy up your stickers, and give them a new and fun look. last week, on the pebbles blog, it was all about the new arrival girl collection. this week is all about the new arrival boy collection. i have a layout up on the blog today, featuring that collection. recognize this little dude? that's zachary, when he was just one month old. even the girls saw this layout sitting out, and said "is that him?". they were convinced it was some other little baby boy. lol! i've taken some photos of him and his parents a few times, since he was born. and these were from his one-month shoot. this card is 4.5" x 4.5" in size. the flower is just like the one on the layout i shared on friday. so if you're curious about it, check out friday's post for the details. i did stamp the white card base with a text background stamp, in a light green ink. the brown torn strip is a handmade paper, which adds a great texture to the card. 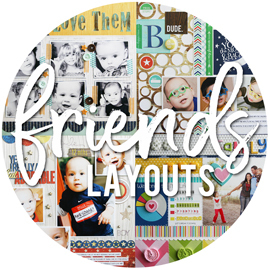 here is my other layout that went up on the jillibean soup blog yesterday. this is one of those layouts, where the photos were one of the last things i decided on. every now and then, i will create entire layouts, without any particular photos in mind. i had this idea for doing a grid of pattern paper squares along the bottom of the layout. so i trimmed an assortment of pasta fagioli pattern papers, into squares. these are all just under 3 inches x 3 inches. i want to say 2.85 x 2.85 or something, if you want to get really specific. lol! then i inked the edges of all the paper with a brown ink pad, and adhered them down. the inked edges really seperate all the patterns from each other. next, i trimmed off a strip of the filmstrip pattern paper, and adhered it above the squares using pop dots. i used a small hole punch to make a few notches on either end of this filmstrip piece. then i wrapped white string around the layout, about 7-8 times. the notches help keep the string in place, so that it doesn't slip off your finished layout. i added some corrugated flowers to the left side of the layout. for the center of the smaller one, i simply added mini silver brads to the center of a button and glue dotted it down. for the larger flower, i added a journaling sprout and a decorative brad to the flower using a pop dot. i created this flower using my making memories slice and the basic elements design card. i choose one flower shape, and sliced it from kraft cardstock, pattern paper, and a specialty glimmer paper, all in varying sizes. i inked the edges of each flower, and bent the edges upward just a tad. i layered them all together, using lots of pop dots. then i arranged three of the sugar picks on top of the last flower (with a few glue dots underneath them), and then adhered a journaling sprout over the ends of the pins. this is an easy way to make sure the pins stay in place. a quick threaded button finishes off the flower. this looks pretty blurry to me. but if you click on the photo, it should come up larger and you can read the journaling. after a rough start this morning, it put a smile on my face to see this on 2peas. i know this changes often, and i just happen to get lucky on being on all three spots at once. but i'll take it and enjoy it. until more gorgeous projects take my place. lol! i knew the new atomic soup collection would be perfect for these photos from alyssa's last day of junior high school. i made sure she took her camera to school, and gave her strict instructions to make sure she took lots of photos. i honestly don't have photos of her and her friends. other than when she has a birthday party. and i wanted her to have something to look back on. and i have to say. she came back with more photos than i was expecting. when i start a two page layout, i begin with the photos and 2 sheets of cardstock. i will decide on my photo placement first, and then build the rest of the layout around the photos. i do adhere all my photos down, once they're trimmed. then i measure and trim the pattern papers to fit around the rest of the space. it makes good use of my pattern papers too, since i only cut off the pieces i need. the papers here might look like they go all the way across the page. but they're only about 10 inches long, and end where the green cardstock starts. i went with the blue corrugated alphas for my title. i wanted to make them stand out just a little bit more against the whiter patterned paper, so i lightly inked the edges with brown ink. and i have done this before, but i adhered the "o" sideways. mainly, because it wouldn't have fit the other way. lol! maybe i should start adhering my title, before adhering the embellishments around it. nah. that'd be too easy. i choose the green embossed cardstock, because i wanted some extra texture. and because the numbers are sort of school related. and because our school color was green, for the mustangs. alyssa got some great photos with her camera. and was really good about handing the camera over, and getting in some of the photos herself. i printed all her photos as 4x6's, through costco. usually, i like to go in before ordering and do any cropping to all my photos. zoom in and get rid of any excess background that doesn't need to be there. 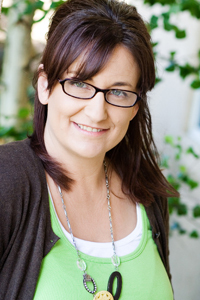 but i left most of her's uncropped, because i knew i was going to trim them up into smaller sizes. i pulled out all the ones that i could crop to 3x3, and then arranged them in two rows. then i took three of the photos that had a lot going on, and just trimmed them a tad bit to make them fit on the pages. this is actually a photo that i took after school let out. the jr high side of the school, was an emotional mess. everyone was saying their goodbyes, knowing that they wouldn't all be at the same high school. and knowing that some of them wouldn't see each other much during the summer months, off school. there were lots and lots of tears. it was hard to watch, and i felt for each and every one of them. i was waiting with sarah and her friend on the other side of the school, giving alyssa and her friends their space. but i had to stop and capture a little bit of the moment. alyssa also had a lot of photos with friends, where they simply held the camera out at arm's length and snapped away. there was no way to crop these photos smaller, but i wanted to include them. so i choose to simply slip them into a divided page protector, which is right after this layout in her school album. 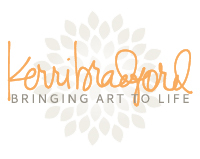 first off, i have a little challenge up over on the little light studio site today. i'm sharing a few 15 minute halloween home decor projects that i created last year. and i'm challenging you all to try your hand at making a fun halloween decor project of your own, and share it with us. want an incentive? 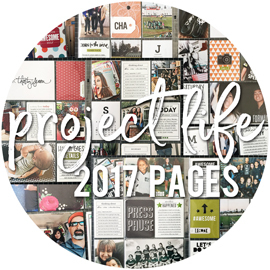 if you leave a comment and link us to your project, one lucky person will be chosen to have their project featured on the little light studio blog, and to be highlighted in the newsletter. that's cool, right? check it all out HERE. since we're talking halloween, i thought i would share a card i created this summer. yes, that's the beauty of working in the scrapbook industry. i was creating halloween cards in june. and now that it's halloween, i'm actually getting ready to work on summer stuff. lol! all product is from the toil and trouble collection by making memories. i loved the spider web stamp, so i stamped it with versamark ink in the upper corner, and heat embossed it with some black glitter embossing powder. then i "hung" a glitter foam spider sticker from it. and i really love those glitter bling alpha stickers. i like how all the letters are different sizes, and fonts. and how some of the letters have a little bling on them. i think i'm a week late on doing my random facebook status update post. i was trying to do it every other week. but i had a TON to copy and paste. so i selected the best of the bunch. and yes, these really are the best. lol! sit down and hold on to your chair, people. i just finished up all 5 projects that are due on friday. yes, friday. i'm 4 days early. if you know my procrastinating self, you'd know that i would usually be starting these projects the day before they're due. yay me! the van is in the repair shop today. we were told the fix would be "pricey", as in "i'm not even going to give you a quote, because it's SO high". i'm dreading that phone call, with the damage. note to self. always check your electronic tools and software needed for assignments ahead of time. went to start my layout that's due tomorrow, and realized something isn't working. i can't do anything without it. my family is coming over for dinner tonight for alyssa's birthday, and i have NO clue what i'm cooking yet. do you think i could get away with reheating the 3 meals i made today, that the little ones didn't even touch?!?! ‎3 soccer games this morning. alyssa's team played a double header, and won both games. sarah's team played one game, and won. they each scored a goal and had an assist or two. great job today, arsenal and blue thunder!!! the boy picked up on this crawling thing, and is now moving full steam. he's also pulling himself up, and cruising around the furniture. even going from table to couch, and couch to table. letting go and trusting that he'll make it. i think i might be in trouble soon. lol! an older photo of nikolas and haley, from the last time the gate was up. gosh, we miss them. for the first time in forever, i had to put up the baby gate on the stairs again. i just know that the family is going to be super excited about this. i know how much we have all missed crawling over that gate every time we need to go up or down the stairs (said sarcastically, in case you don't know me well ;)). a certain someone took it upon herself to open the bedroom door, go inside, and wake up the sleeping boy. another certain someone isn't very happy about that. the weekend has begun. 2 soccer practices tonight, and alyssa's playing in the band at the varsity football game. 2 early soccer games tomorrow, and then alyssa's 14th birthday party. busy, busy. took 8 of alyssa's best friends to boomers yesterday for her birthday party. go-kart racing, rock wall climbing, laser tag, arcade games, and bumper boats. they skipped the mini golfing. such a great group of kids, and they had a blast. i have done everything today, EXCEPT the stuff that i was originally supposed to do. can today be any more boring? nope. it can't. the boy woke up from his nap. so the girl went and dragged out his car seat, found her "animal book", got her barbie keys, and found the boy his cars keys. she must think it's time to go get alyssa from school. too bad we still have 4 hours until we make that trip. lol! from the sounds of it, my crock pot is going to blow any second. lol! i have a love/hate relationship with candy corn. i'm in a funk. a rut. whatever you want to call it, i'm in it. and this isn't good. because it has put a halt on my creative juices. not great timing, since i have a ton of projects that i should be working on right now. it's also kept me from blogging. as in, i've had no desire to blog and nothing to blog about. i even spent half an hour tonight, trying to find even just a single photo to share. i came up empty handed. so i'm going with something totally unrelated to anything. just a song that has been stuck in my head for the last week. heard this on last week's episode of hellcats, and i now play it on my ipod all the time. 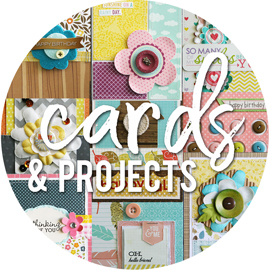 monday's are card sharing day on the jillibean soup blog. and yesterday, i had this fun twist on a card go up. the new sugar picks and corrugated shapes come in the cutest packaging. it's the large, thick chipboard flower shape. it's brown speckled, and the inside of the flower is a brown/white grid pattern. if you tear off the clamshell packaging from the front, very carefully, you can still use this great flower for a fun project. i decided to use it as the base of my "card". this shows the backside of the card. this is where i would write something to whoever i was sending this card too. i traced the flower shape onto some jillibean soup pattern paper, and then cut that out and adhered it to the back of the chipboard flower. then i sanded down the edges, on both sides. i started out by adding the striped paper to the bottom part of the flower. one of my circle cutters made the perfect sized circle, so that made it super easy. then i trimmed off the top part of the circle. i tied some of the bakers twine around where the top of the striped paper was, and added a cardstock sticker right below it. then i just started layering in fun embellishments. started with the shipping tag, which i trimmed to make it look like it was tucked under the pattern paper. then a journaling sprout, a canvas flower, a corrugated flower, a button, and some cute sugar pick pins. today is mix and match monday on the pebbles blog, and i had this card go up, along with some projects from a few of the other design team girls. i created this card for "mix & match monday". it's always nice to use an individual collection when designing a layout or card. it all coordinates and goes together, so there's no questioning how pieces match. but it's also fun to mix collections together. at first glace, they may be so different from each other. but you just might find that the pieces can inter-mix together better than you think. i mixed and matched the twitterpated collection with the treehouse collection. i love the brighter, more olive-y green in the twitterpated collection. but i thought using the deep teal from the treehouse collection would give the yellows and pinks a whole new look. i took a little pattern paper from both collections, flowers from both collections, brads and a sticker from the twitterpated collection, and the cute chipboard bird from the treehouse collection. i was really excited to see these lanterns up on the making memories site, and on the blog. i had such fun making these last month. i never tried putting lights inside of them. i just held them up to the window as i was creating them. so i loved seeing that they worked so well, and am thinking i might need to make another set to display in my own house. lol! you can watch THE VIDEO on the making memories blog, to learn how one of these was created. i had shared a few 6x6 halloween layouts around CHA time. but in case you don't remember them, you can check them out HERE. and here's another VIDEO, on how to create this fun halloween card. i thought the little paper doll pattern paper was so cute. takes me back to the days of punching out the dolls, and all the clothes, dressing them, and then pushing the little tabs down on the back to hold them in place. so cute. i feel like i've been super sporatic with what i'm sharing lately. i've lost track of what i have, where i have it, what i've shared, and what i need to share. i finally took out a good old-fashioned, regular piece of paper. and i made lists of everything i've been creating. and columns to keep track of whether i've blogged it, added it to this gallery or that gallery, etc. and i make check marks. with a pen. love it. we'll see if that helps. anyways. today, i have another layout from the scrapbooking tips & tricks: tools & techniques issue, by creating keepsakes magazine. i knew i wanted to create a summer layout, when i got my assignment, and these photos of alyssa have always been favorites of mine. in fact, that third photo (the largest on the page) actually won a photo contest ages ago. these photos were taken about 8 years ago. i can't remember what random magazine it was in, but i got a prize and everything. i should dig out the magazine, since i know i have it somewhere. i also knew that i wanted to use the all inclusive collection, from bella blvd. the collection was new at the time i created this, and i just loved it. the colors, the patterns, everything. i went with the glitter chipboard alphas by doodlebug, because i wanted to pull in more of the darker blue to match that strip of polka dot pattern paper. and because i love those chipboard letters. and i even got crazy on this layout, and i did NOT start it with a sheet of white cardstock. lol! about 94% of my layouts start with me pulling out the white cardstock. i like that i went with colors. for the sun, i traced around the template, onto white cardstock and cut it out. then i adhered that to orange pattern paper, and freehand cut around it, leaving a thin border of the orange paper showing. for the little points of the sun, i drew one freehand onto the turquoise pattern paper, and then cut it out. i then used that to cut out a bunch more of them. just paper pieced it all together. i actually did journal right in the middle of the sun, but i messed up. i simply cut a circle of white cardstock, and adhered it over my mistake. looks like it was meant to be that way. i wanted to share one of my recent assignments with you. the following three layouts were featured in the october issue of creating keepsakes magazine. the challenge issued to me, was to create a 10 minute layout. and then to step it up, to a 15 minute layout. and then again, to a 20 minute layout. you might think a 10 minute layout is impossible. but it's not. granted, i may have put more than 10 minutes into creating this layout, given that i was creating it for publication and wanted it to be just right. the truth is, my layouts and my process DO take me more time to come up with and put together. but at the same time, i think my layouts come off very do-able. i've been told that by numerous people, and i know exactly what they're saying. i'm not an overly complicated scrapper. sure, i have my moments where i like to do some techniques or use a bunch of goodies on one page. but i think my layouts are easy enough to duplicate, with your own photos and supplies that you have on hand. maybe you have more than 10 minutes. if you do, i'm extremely jealous. lol! maybe you have 15 minutes, and want to step up the layout a little bit. in addition to what i listed above, you also need one more sheet of cardstock, a few jewels, another sticker, and a stapler. instructions? sure, they're right HERE. say you're just all full of time, and have 20 whole minutes, and want to step it up even more than the last version. then simply add a full strand of jewels, an epoxy sticker, and some letter stickers. instructions are HERE. creating keepsakes has a new special issue out. have you seen it? 101+ creative ways to use your scrapbook supplies. 101 creative ways to use your scrapbook supplies, by jennifer mcquire, is an all time favorite idea book of mine. it's actually one that still sits in my pile of magazines, on the end table in the family room. even though it came out years ago. so i was very excited to hear that there was another take on this coming out. 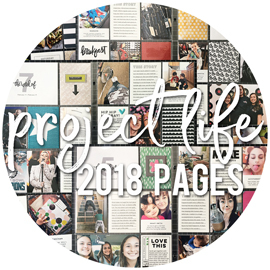 and that book is 101+ creative ways to use your scrapbook supplies, featuring the amazingly talented jennifer, along with a team of contributing designers. this book is full of ideas for all those supplies you already have on hand. fun techniques for using our products in new ways. ideas for using our scraps and leftovers. creative ways to give products a whole new look. tons of ideas to make the most of the products we have and love. check out this fun preview of the inside of the book. you can purchase 101+ creative ways to use your scrapbook supplies in the scrap & paper shop. use code FS101B, to get free shipping on orders of $25 or more, through december 31, 2010. you can also find this issue on newstands now. do you remember when i mentioned that creating keepsakes magazine was holding a teen talent search contest? well, they have chosen the top 10 entries. and now these very talented teens need your vote. voting goes until october 8th, and you can vote as many times as you would like. take a few minutes to check them out HERE. a fellow scrapbooking friend of mine, vera yates, is putting together a "caring hearts card drive". her goal is to send holiday cards to the elderly who live in nursing homes. "just a simple way to brighten their day, and acknowledge that they still exist and that people do care about them", vera says. she's collecting cards that are geared towards thanksgiving and christmas. and to show her appreciation for all that participate, she's got some prizes lined up too. you can find all the information HERE. this week really got away from me. and my blog paid the price for it, unfortunately. but i'm getting back on track, and have things scheduled and planned out. plenty to share, just a matter of making time to share it. for today, i have a layout up on the pebbles blog. i've been getting a bit back into distressing my papers. i remember years ago, i was addicted to inking the edges of every single piece of paper on a layout. and then i got away from doing it. no idea why. however, i have reaching for my edge scraper more and more these days. you simply run it over the edges of your papers, whether it's cardstock or pattern paper. sometimes, i'll ink the edges as well. or sometimes, i just leave them as is. but i love the extra texture it adds to my layouts. i'm hoping to get another post on here this weekend. tonight we're headed to the high school football game. it's homecoming, and the band will be in full uniform for the game. i LOVE hearing them play throughout the game. just love it! then saturday, we have three soccer games. starting bright and early at 7:30, and going straight through for about five hours. hopefully, it's not too hot out.